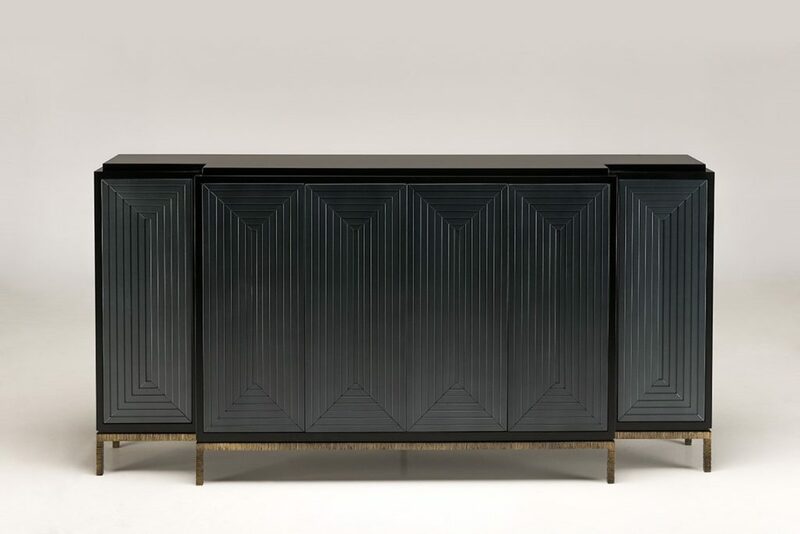 With the complexity in its pattern of timber panels and combined forged embossed bronze brass steel base, the buffet has made a lasting impression with our clients. 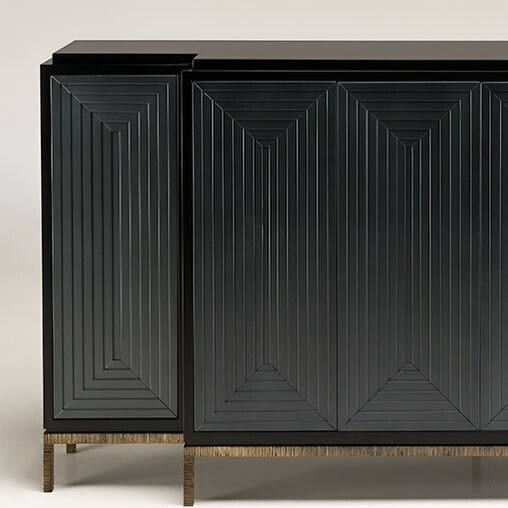 The geometric optical illusion is retro inspired, yet is translated into the design with a strong contemporary basis that offers a timeless feel. 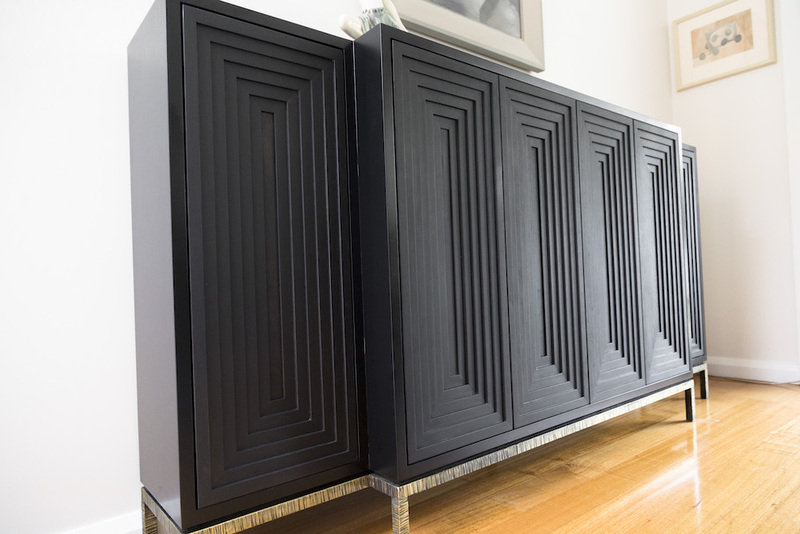 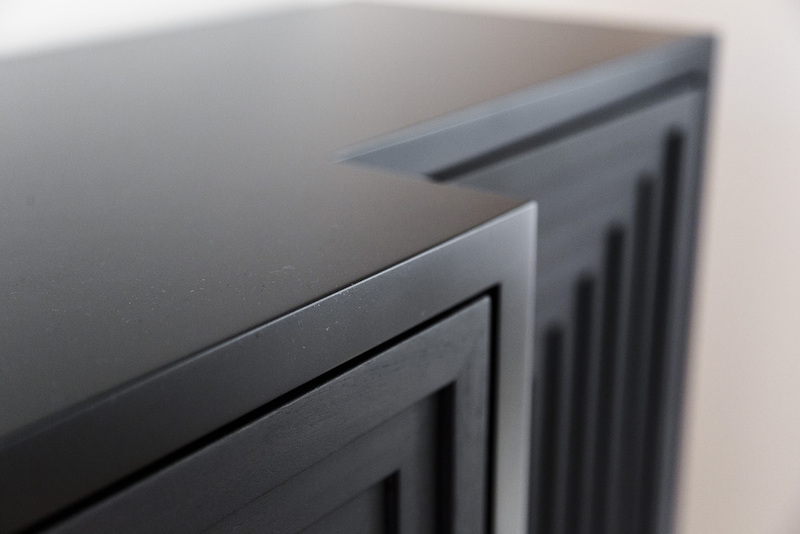 Black timber is used in a variety of ways for the design, yet a smooth and lacquered finish on the top and sides allow a sleek and modern look to accentuate the cabinet. The retro illusional pattern give the cabinet a great sense of depth and character whilst the forged steel base give a superb sense of luxury.